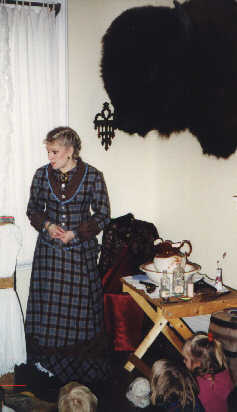 She recently won Best Old West Lady's Costume at the Buffalo Bill Birthday Celebration at the Irma Hotel in Cody, Wy. 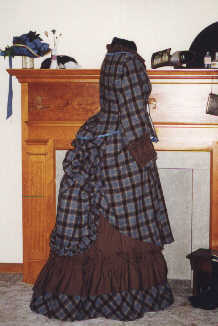 She is a member of the American Federation of Old West Reencactors (AFOWR). 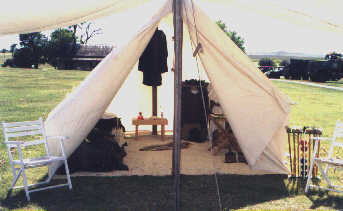 Tala Has been a volunteer at Historic Fort Hays for 9 1/2 years. 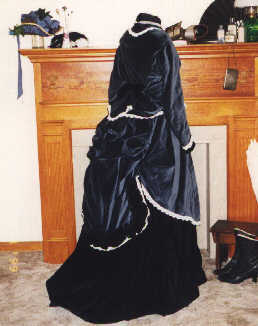 As an officer's wife she tells of the adventure of a well bred young lady traveling west to her husbands post at Fort Hays, and about life on the prairie. 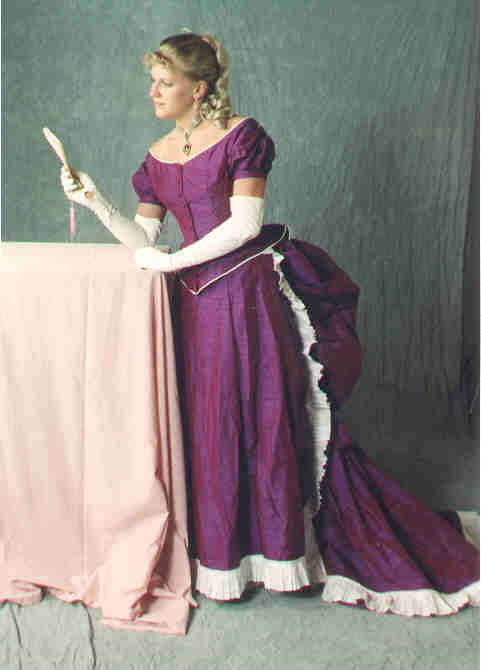 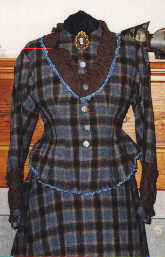 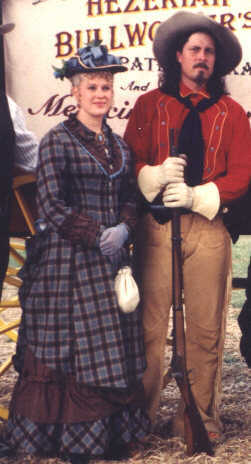 She is an accomplished seamstress and makes costuming for both herself and her husband, who portrays Buffalo Bill Cody. 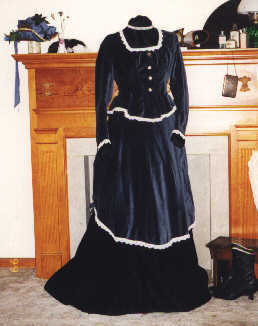 She also offers her sewing services to other reenactors.